How to make the high grass or the grain field? I had to solve one big problem I was modeling my DIAMOND T 975 PONTOON. This problem was how to make various profiles to be good enough concerning the torsion and bending strength and also concerning the model look. 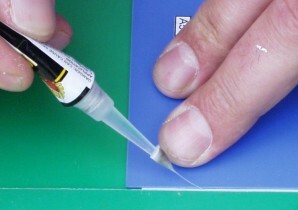 1)to stick the profiles parts with acrylic glue with very fine and accurate dosing on necessary places. 2)to cat form plastic sheet accurate stripes with wide 0,6 – 0,8- 1,0 mm( according wish ) and length 80 – 100 mm. I prefer to use acrylic SUPER GLUE with 10 mm red guard cap. The plastic adapter has ideal cone to mount the dosing point. The point can be simply made of plastic tube with internal diameter 2-2,5 mm. The character of these tubes good for required purpose is that is impossible to stick them with the glue. 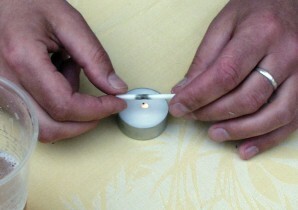 You have to warm the tube above the candle and stretch it. The tube will get narrower but the internal hole will be functional. Now you just have to cut the excess material away and mount the point on the plastic adapter of the glue. 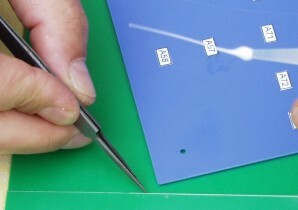 I recommend you to put aside with the point up and do not press too much on the glue body because the glue could outflow willfully. In case the point gets choked up just cut it short or use new one. First you have to stick /with a few joins of glue only, because it will have to be removed later/ the plastic stripe on vertical side of the stair. 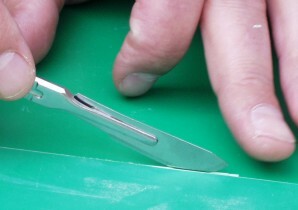 The second plastic stripe have to be placed on horizontal side of the stair and press by the ruler in right angle on the first vertically fixed stripe. The last step is the sticking - ”welding” of both stripes together by a little quantity of glue applied into inside right angle from left to right by the dosing point. The finished ”L” profile could simply peel it from the stair when the glue is dry.. In case you want to make “ U “ profile you have to work in same way but you have to fix the prepared ”L” profile instead of the simple stripe on the vertical side of the stair. “ C “ profile can be made similarly only dimensions of the stripes are different. The way to create the “ I “ profile is little different because you have to add the bed under the horizontal stripe. The thickness of used bed is adequate to required dimension of “ I “ profile. I also recommend using of little bid thicker plastic stripe for internal vertical part of ”I” profile to get better strength. Finished profiles are extremely strength. My models, I have built using these profiles, survived without any problem the transport to UK and back to Czech Republic. I wish you good luck and happy modeling. P.S. There are also some plastic profiles available on model market but they are too robust and good enough for 1/35 scale but not for us.